At the ASLA 2010 Annual Meeting, Carol Franklin, FASLA, a landscape architect with Andropogon, Jeff Speck, Hon. ASLA, an innovative smart growth planner, and engineers from the firm Natural System Utilities discussed the benefits of using constructed wetlands for wastewater treatment. Along the spectrum of decentralized wastewater treatment systems, there are fully-natural systems (often used in rural or suburban areas), engineered constructed wetland (used in denser suburban areas), and membrane biological reactors (reserved for high-density urban areas because of their high cost). Used in areas where there is ample land, natural systems feature constructed wetlands that are “mechanically simple, yet biologically complex,” said Paul Knowles of Natural System Utilities. These systems feature a basin of gravel through which wastewater flows, and encounters a natural system with “biological, physical and chemical conditions for purification.” They are often planted with indigenous plant species to enhance biodiversity. Plants and bacteria, which are powered by the sun, break down pollutants and cleanse the wastewater. “Nature has already done a good job already,” so the only thing to do is harness natural systems. In one example of on-site wastewater treatment in a compact neighborhood, Jeff Speck, Hon. ASLA explained how wastewater flows out of household toilets and sinks into wetlands, then sand filtration systems. By this time, the water is about as high-quality as potable water, but “just to be safe, there is an additional mechanical filtration system” that uses UV to blast out any remaining pollutants. The water can then be reused to water landscapes or sent back to households for toilets. Carol Franklin, FASLA, also discussed the constructed wetland at Sidwell Friends school (see earlier post). In this green school for the sons and daughters of Washington, D.C.’s elite, there are two separate systems “that connect, but don’t interact”: a wastewater treatment system and stormwater runoff collection system. The wastewater treatment system runs toilet and sink water into a series of wetlands, where plants, soils (and sands) filter out pollutants so water can be reused to water roof plants and flush toilets. The wetland system is also educational: students can see and test the water quality throughout the wetland cleansing cycle. These rather expensive systems are often reserved for high-rise buildings in high-density urban areas. They are found in the basements of buildings, and are comprised of a series of tanks that filter out specific pollutants, and then push water towards a membrane filter. The Solaire building in Manhattan uses a bioreactor to recycle 25,000 gallons of wastewater each day to water gardens, flush toilets, and cool HVAC systems. Speck concluded that these solutions can be “used at every scale and footprint.” The most cost-effective systems are spread-out — only four acres of wetland is needed to process the wastewater of 1,000 households. “These four acres can even be part of a park.” Additionally, spread-out systems require less up-front costs in comparison with bioreactors. Another benefit: water in dry areas like Arizona and Texas is expensive for households. Pointing to a community in Arizona that uses a constructed wetland system, Speck said they are spending half as much on water in comparison with communities next door without these systems. Also, these constructed wetlands can do more than treat wastewater. According to Knowles, they can deal with industrial effluents and be used in fisheries, agriculture/dairy facilities, mines (to deal with phosphate), landfills (to address leachate), and airports (to address runway runoff). “De-icers used on runways are particularly nasty. Buffalo airports’ runoff equals that of 50,000 people’s wastewater,” Knowles explained. I am really interested in these types of systems, and other green infrastructure. The post mentioned that here is a community here in Arizona that is using a constructed wetland to treat their waste water, where is it at? I would really like to visit it. 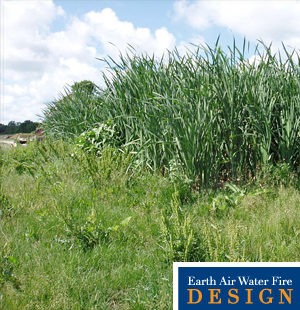 The idea of constructed wetlands for the treatment of wastewater is very interesting. We in Afghanistan are starting to treat wastewater for the first time. We would like to get more detailed information on how to treat wastewater in urban areas where land prices are very high. You are right when you start to treat the wastewater using constructed wetlands. This natural purification technology makes it possible to re-use the wastewater for irrigation. In your arid region you can get high benefits. We realised a plant like that in Kuwait two years ago. All the material they used for construction they could get in their own country. If there is slope enough in the landscape, the whole plant can work without electrician energy. The absolutely right technology for your country. Hi, I’m a constructed wetland designer. I use this natural technology to develop green treatment systems. Also UNEP with the paper ” UNEP environmentally sound technologies for Caribbean Islands” write about the use of treatmen wetland systems..I summarize it in my blog. As Mr Sgultz say, all the materials could be get in the country.